You must be able to create and share quilt squares. All websites applying for this webring must have there QL Quilt Sheet on their website. The Quilting Ladies Webring Must Be on your Quilting Ladies Quilt Sheet page. 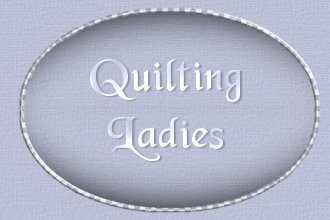 Make sure you submit the url that your Quilting Ladies quilt sheet and Quilting Ladies Webring fragment is on when joining the Quilting Ladies Webring. All websites applying for this webring must be family oriented and child-safe. This is how your webring should look on your page. Please save the webring image to your own Hard Drive. 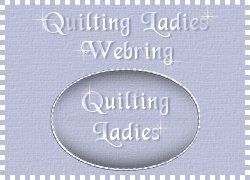 You can join the webring for Quilting Ladies below.